Our outreach mission furthers the New York Fed's commitment to the region by listening to the communities we serve and developing programs, analysis and sponsored conferences and clinics to help meet their needs. 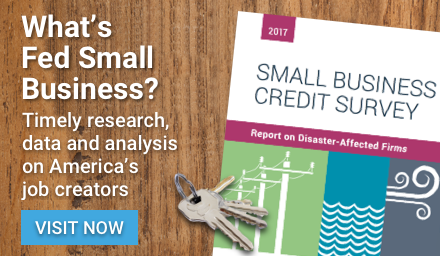 Using data from the Small Business Credit Survey, this report provides an in-depth look at performance, debt holdings, and credit experiences of over 6,600 U.S. small businesses through 2018. 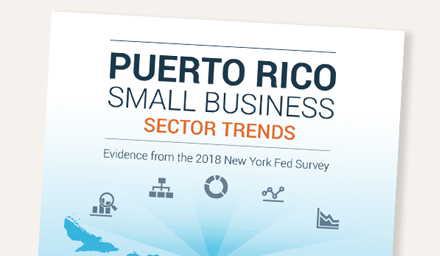 The findings show that heading into 2019, small businesses reported stronger revenue and employment growth and continued levels of credit demand, with growing numbers of firms applying to online lenders for financing. 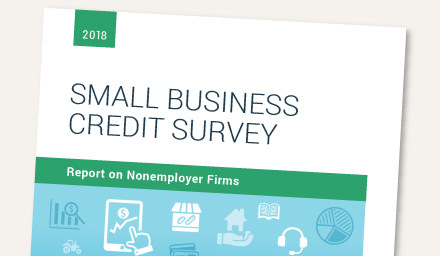 Using data from the 2017 Small Business Credit Survey, this report—a collaboration with the Cleveland and Richmond Feds—provides an in-depth look at the financial experiences and challenges of over 5,500 nonemployer small businesses in the U.S. The findings show that nonemployer firms are performing positively overall despite notable financial challenges, especially for particular segments of firms. Latinos start one in four new businesses in the U.S., contributing more than $700 billion in sales to the economy every year. 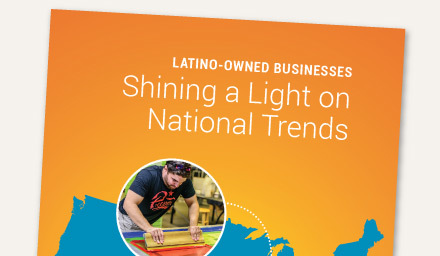 In collaboration with the Stanford Graduate School of Business and Interise, this report finds that Latino business owners face significant financial challenges compared to white business owners. From 1998 to 2018, veterans in the labor force who identified as “self-employed” dropped 33%. 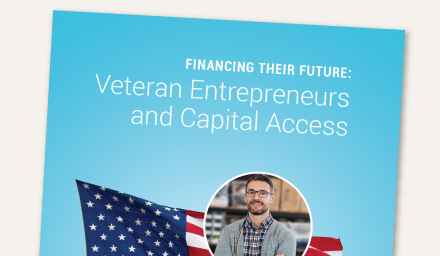 Using data from the 2017 Small Business Credit Survey, this report finds that one challenge for veteran entrepreneurs is that while demand for financing is similar for veteran- and nonveteran-owned businesses, 60% of veteran-owned businesses reported financing shortfalls compared to 52% of nonveteran-owned businesses. 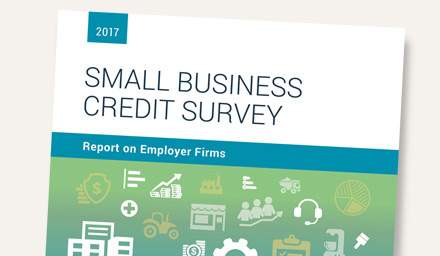 Using data from the 2017 Small Business Credit Survey, the Report on Employer Firms provides an in-depth look at performance, debt holdings, and credit experiences of over 8,000 U.S. small businesses through 2017. The findings show that heading into 2018, small businesses reported stronger revenue growth and profitability, but some segments of firms continued to face financial challenges. 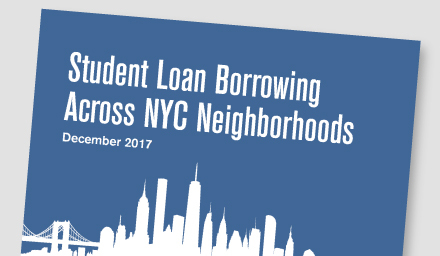 This analysis includes detailed credit data, maps, and analytics for New York City as a whole as well as for its five boroughs and 184 zip codes that can be mapped. Of those 184 zip codes, 118 are credit-constrained, meaning one or more of their credit indicators—credit inclusion, credit capacity, and debt stress—are among the weakest in the U.S. 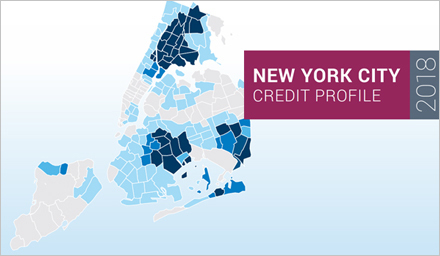 This analysis provides detailed credit analytics, including measures of access to credit, for Long Island and its counties, Nassau and Suffolk. In addition, it examines data by zip code to highlight which Long Island neighborhoods have stronger credit needs and where they are similar or dissimilar. This analysis provides detailed credit analytics, including measures of access to credit, for the City of Rochester, New York. 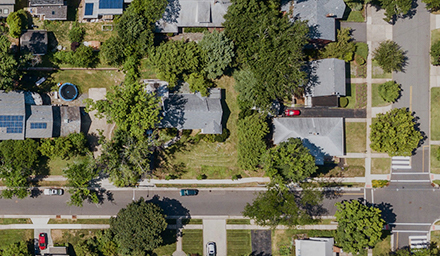 In addition, it examines data by zip code to highlight which Rochester neighborhoods have the stronger credit needs and where they are similar or dissimilar. This interactive highlights credit conditions in communities across the United States and provides measures of credit inclusion and stress at the U.S., state and county levels. 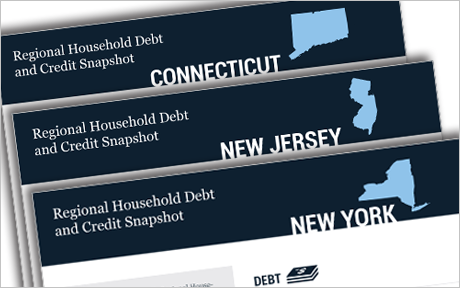 The Regional Household Debt and Credit Snapshots provide an overview of trends in borrowing and indebtedness at the state and local level. 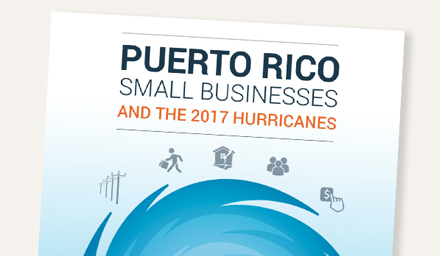 This report focuses on the challenges and responses of the 77% of Puerto Rico small businesses that self-identified as having incurred a loss directly from hurricanes Irma and Maria, using survey data on their business experiences in 2017. The New York Fed conducted a survey of community colleges across New York State during the months of March-May 2017 to document the amount and type of employer engagement activities by New York’s community colleges and to find ways to help them foster more effective partnerships with local employers. The New York Fed's work in Community Development Finance supports the transformation of low- and moderate-income communities in our region by working to increase the impact of community investments and supporting inclusive economic development strategies. 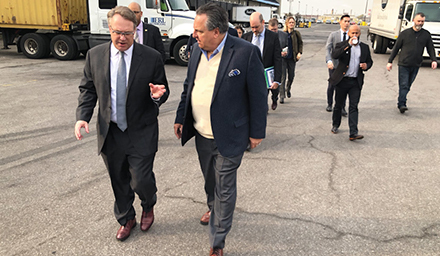 President John C. Williams visited New York City’s borough of the Bronx on Nov. 19 to meet with leaders in business, community development, education, and government. New York Fed economists and senior officers are available to speak to your organization. Learn about available dates, our policies and how you can book a speaker for your program or event.